Join us for an intimate lettering retreat in the breathtaking desert. 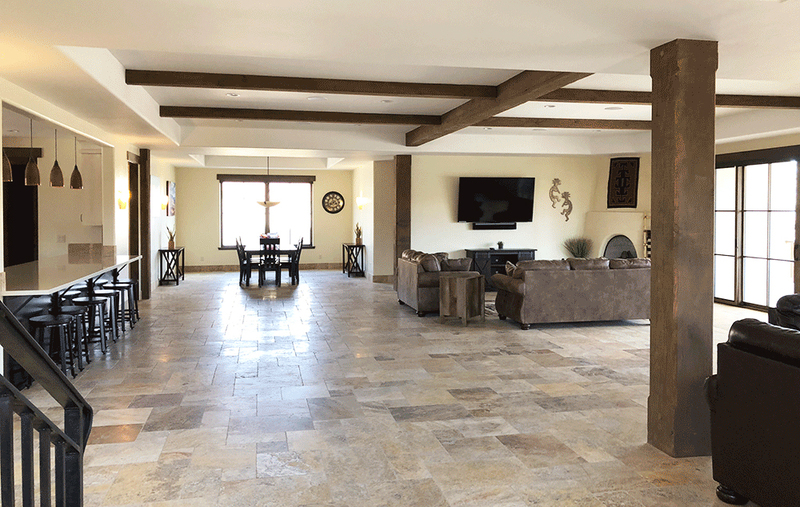 A limited group of up to 40 people staying in the same house allows for quality one-on-one time learning from industry leaders, making meaningful connections with peers, and spending time in a beautiful setting. If you want a big boost to your lettering career and inspiration, this is just what you need. Sabeena Karnik is a independent illustrator and typographer specializing in paper sculpturing and 3D illustration based in Mumbai, India. She creates type and letters by hand using only paper, and she loves exploring the endless possibilities of paper. She has created work for clients such as Google, Adobe, Instagram, Papyrus, Amazon Echo, Ulta Beauty, Disney Books, Southern Living Magazine, and more. Mary Kate McDevitt is a letterer and illustrator based in Philadelphia, PA. She creates colorful and playful lettering and illustration for advertising, book covers, editorial and packaging and has worked with companies like, Nike, Nickelodeon, Target, Fox, and Penguin Books. 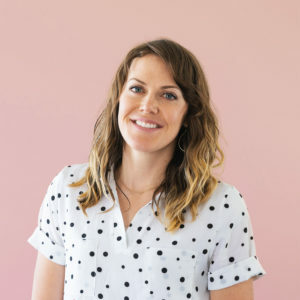 Mary Kate also teaches workshops and is the author to Hand-Lettering Ledger and Illustration Workshop and has a collection of paper goods with Workman Publishing. Erik Marinovich is a San Francisco based lettering artist and designer, and is a co-founder of Friends of Type. Since 2009 he has drawn letters, logos and type for nice folks like: Nike, Target, Google, Hilton, Facebook, Sonos, Sharpie, The Criterion Collection, Air Canada, Gap, Sprite, Golden State Warriors, and Ford Motor Company. In 2012 he co-founded Title Case, a creative work space that conducts workshops and lectures. Moab, Utah, is smack in the middle of Arches National Park, Canyonlands National Park, and a hundred other sandstone adventures. 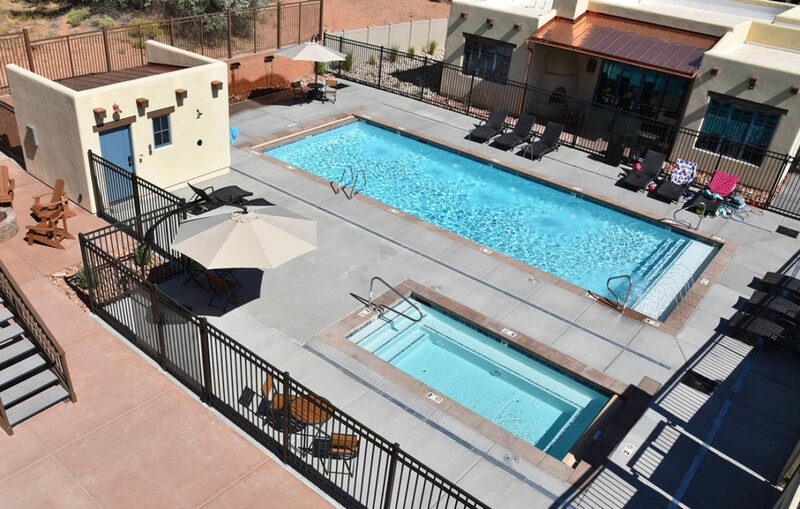 Visitors from around the world come to the town of Moab to experience thousands of square miles of beautiful red rock landscapes, and the flowing waters of the great Colorado River. It's one of the most visited outdoor recreation destinations in the American Southwest. Schedule is subject to change or rearrange. Bus will leave SLC Airport at 11:15, and the drive will be approximately 4 hours long, arriving to Slick Rock Lodge about 3:15 PM. Check-in will be between 2–4 PM. If you arrive before 4 PM, get settled, grab a name tag, mingle, explore the grounds or the town. Free time to make connections, grab dessert or snacks, hang out and wind down. A charter bus will drive us to Arches National Park and to the Delicate Arch Trailhead (45–60 Minute Drive). We’ll then hike to Delicate Arch which is the largest free-standing arch in Arches National Park, the most well-known landmark in Utah, and a world-famous geological feature. The moderate hike is 3 miles roundtrip. Those that prefer not to hike should feel free to take in the scenery from the trailhead area, the bus, or stay at the lodge to hang out and relax. "My favorite part was how much quality time we got to spend with Becca, Gemma, and Lauren. They were completely unselfish with their time and felt present. I really felt that they were invested in seeing each of us achieve our lettering and career goals. 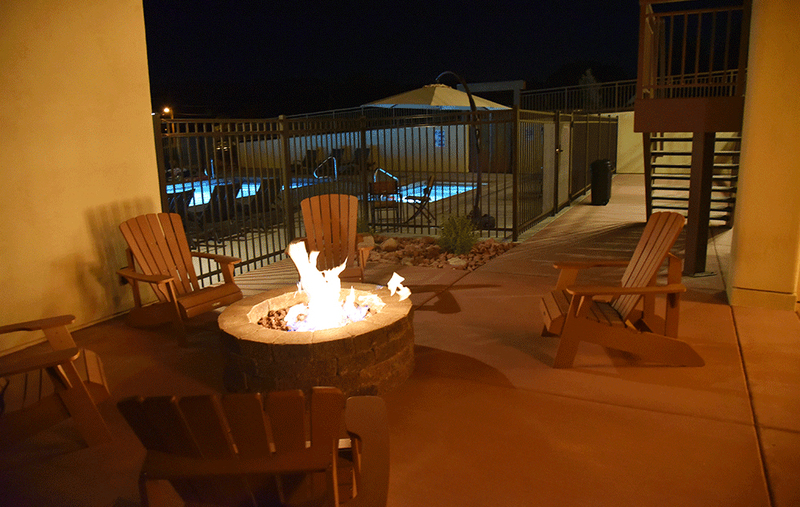 Plus, getting to just chill in a hot tub with them and shoot the breeze was amazing." "The fact that is was a smaller gathering was the most beneficial part of LetterWest. Conferences are great, but I got so much more out of this event than any conference I've attended. You get the best names out there to be keynotes to share with only 40 other people—it's definitely worth every cent!! This changed my life, because I 10000% feel like I found a community I belong in. I met people that week that I would have never dreamed of ever meeting and learned so much to help me grow as an artist and business owner!" "I HAD THE BEST TIME!!!!! Couldn't say enough positive things about the conference, the people there, the food, the speakers, all the activities and the swag. I feel so grateful for the opportunity to attend this conference and the takeaway's were invaluable. Thank you, thank you, thank you!" 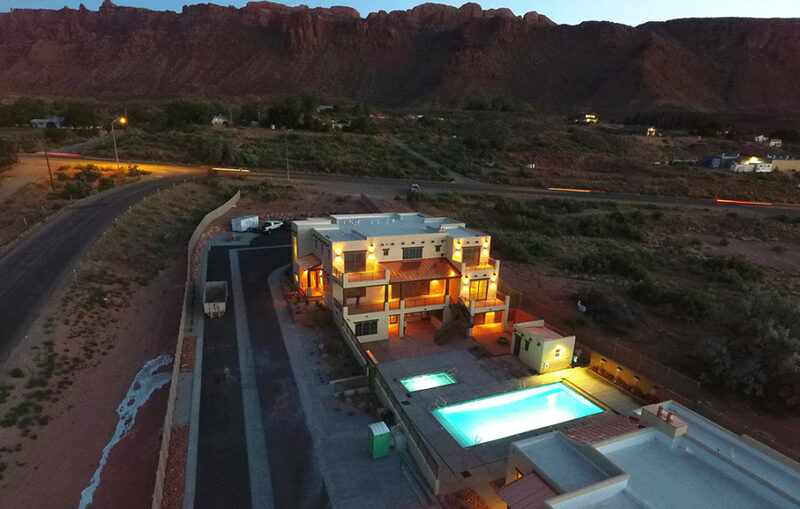 The Slick Rock Lodge in Moab, Utah, consists of one larger house and one smaller house with a swimming pool/hot tub area in between. There are spots for 35 attendees in the combined lodges. 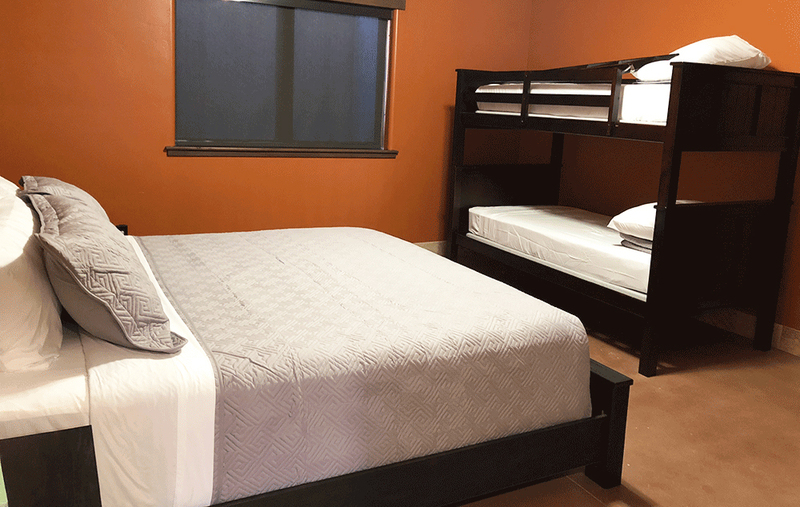 All bedrooms are shared, and all bedrooms have their own bathrooms. 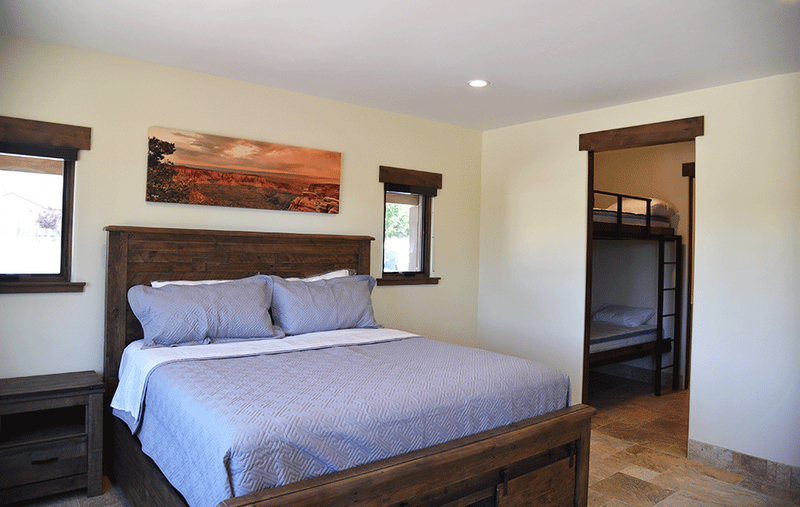 There will be five retreat tickets available for people who prefer to book their own off-site lodging. If you and some friends want to book the same room, please email hello@letterwest.com. We'll work something out! 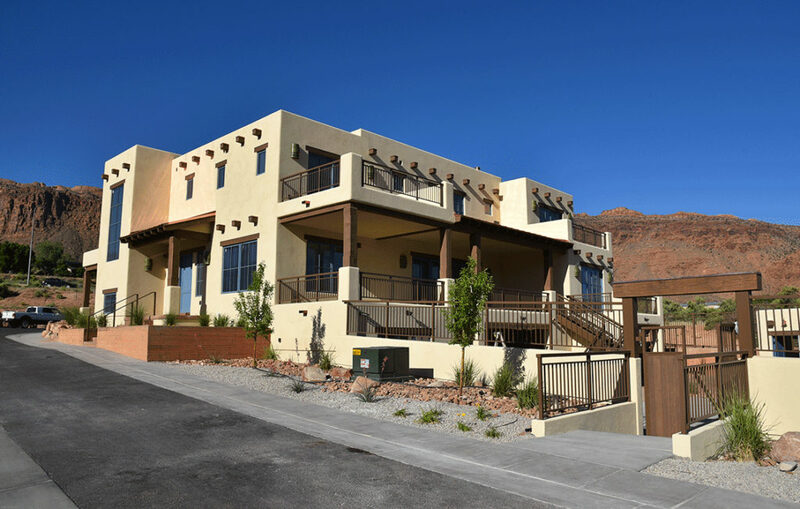 Our Moab retreat is limited to 40 attendee spots. Should I attend the retreat or the conference? We’ll be announcing the retreat presenters and the retreat schedule before conference registration opens, so that you can choose what you think will be the best option for you. The retreat registration won’t open until sometime in the middle or end of March. The conference offers opportunities to learn from and be inspired by more leaders in the lettering community on a wider variety of subjects as well as being able to be surrounded by many more peers in the industry. Attendees can be complete beginners or professionals who are advanced in their careers. The retreat offers an intimacy, closeness, and magic that’s not possible at the conference. Almost everyone is staying together at the same large rental property, doing all the scheduled events together. There’s more one-on-one time and much fewer people in attendance, giving you the opportunity to go deeper, to forge close friendships with attendees and presenters alike. Most attendees have some previous lettering experience. Can hobbyists and beginners attend? Sure! The LetterWest retreats cater to people who have at least some lettering experience. All ticket sales are final and nonrefundable, but if you need to cancel your registration before August 25, 2019, there’s a possibility to transfer to someone else. There may be a waitlist, so please email hello@letterwest.com to see if there’s a possibility of transferring tickets. You will handle the money transfer personally. 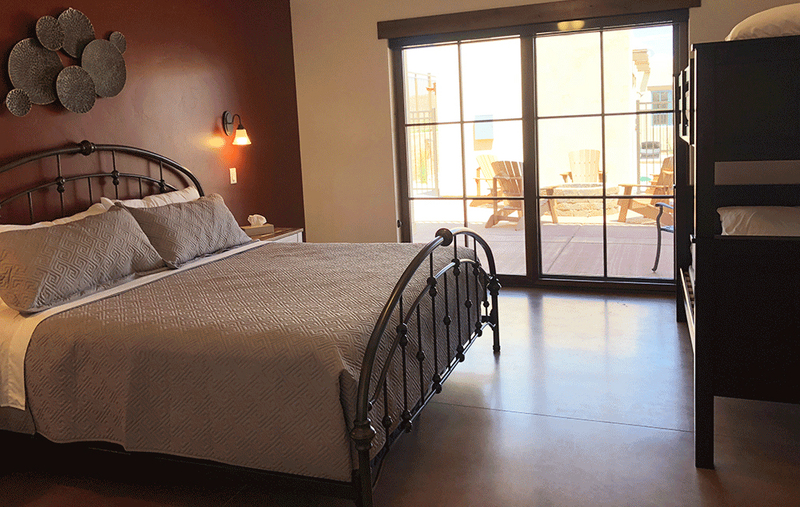 If you and some friends want to book the same room, please email hello@letterwest.com. We’ll work something out! Registration opens Wednesday, April 3, 2019 at 10 AM Mountain Time. Into which airport should I fly? You can fly into Salt Lake International Airport (a four-hour drive) or Walker Field Airport, located in Grand Junction Colorado (1-hour-45-minute drive). We will be arranging a charter bus to and from the Salt Lake International Airport to the retreat location in Moab Utah. The bus will depart the airport at 11:30 AM on September 25, and it will arrive back at the airport at 1:30 PM on September 28. In 2015 I signed up for a two-day freehand lettering workshop in New York City taught by Ken Barber, and I invited my Instagram friend Lauren Hom to join me, which she did. We hadn’t met in person beforehand, and we had a lot of fun learning, lettering, and dining together, and becoming lettering friends in real life. In 2016 I decided I wanted to expand upon this experience and had the idea to create lettering retreats, because there weren’t events like it for letterers. I wanted something like it to exist, so I created it myself. Design/creative conferences and retreats usually lump lettering in with several other creative fields, and I wanted to do something different. I created the first LetterWest retreat in 2017 as a three-day, 35-person getaway with industry leaders as speakers, workshop instructors, and panelists. Attendees and presenters alike loved the experience—in 2017 and 2018, they sold out within minutes each year. The intimate size made the retreat experiences something magical, and I love the small, personal size of the retreats. However, after talking with more people in the lettering community, I realized that they wanted more quality events created specifically for them, where they could be together in the same physical space. I wanted to make a LetterWest event that could allow more people, be more financially accessible than the retreat, and welcome all skill levels, while still bringing letterers together in a very meaningful way. So for 2019, I’ve expanded the brand of LetterWest to be both a large lettering conference and a small retreat. My hope is that LetterWest can help to build up the community of letterers around the world by creating opportunities that help them achieve their career goals and love lettering even more. All Rights Reserved 2019. Website created in partnership with Fitted Web Design.